Holy Trinity Square used to be the centre of the town. 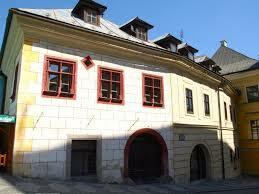 The palaces of the richest miners as well as the Church of St. Catherine were located here. The Town Hall was standing nearby. 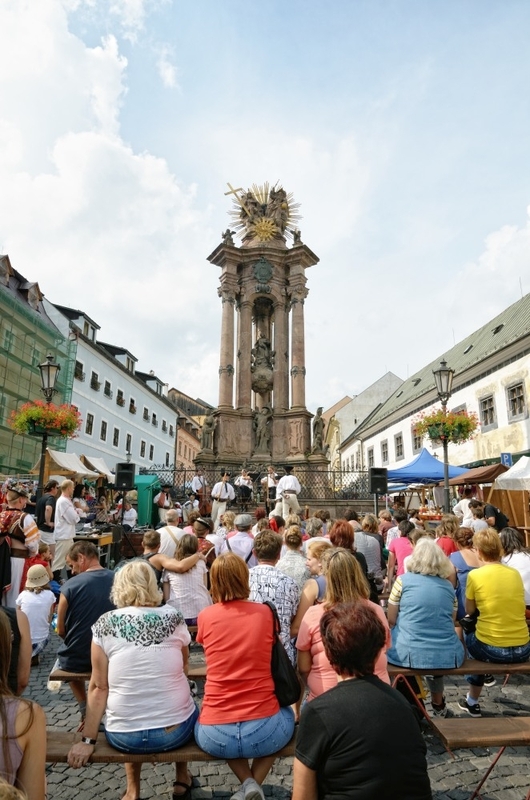 Public assemblies, emperor’s visits and famous markets of Štiavnica used to take place in the largest – almost flat open space. 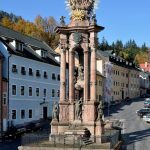 The main town’s square was created at the beginning of the 16th century and it is lined by Renaissance-Baroque palaces of wealthy townsmen. 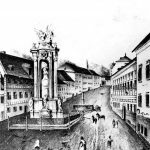 Berggericht – the mining court was located on the lower side of the square; the famous printing press of the Joergeses family was located on the upper side from the 19th century. The production of good quality made the company famous beyond the country’s border. Even today, magnificently illustrated books, periodicals, pictorial publications and postcards fascinate people by its high quality and elegance. Light stripes visible on the pavement in front of Joerges’ house indicate the place where once Roxer’s gate of stone, closing the square and protecting it from the Turks, used to stand. 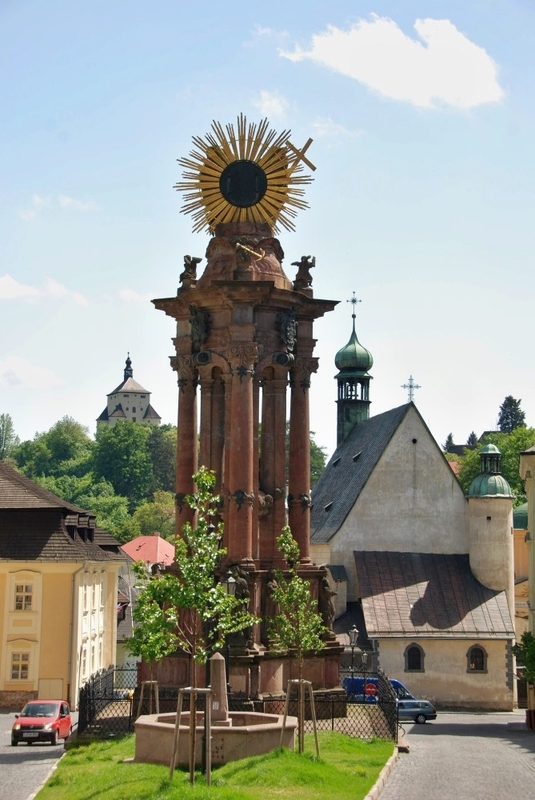 Plague column with Holy Trinity sculpture dominate the centre of the square. 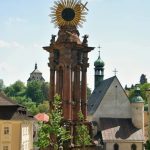 It was built as a symbol of gratitude for the retreat of plague epidemic, which had killed more than a half of the town’s population in 1710. 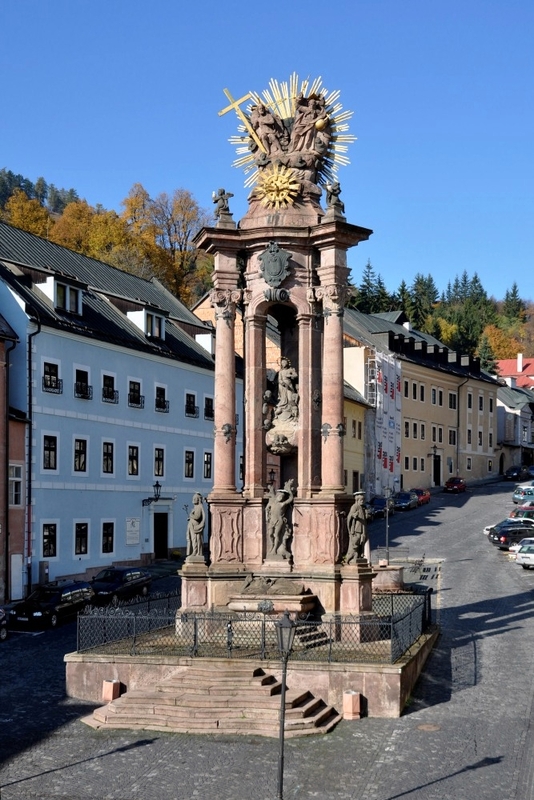 The original plain plague column was later (1759-1764) rebuilt according to the design of a sculptor Dionýz Stanetti. 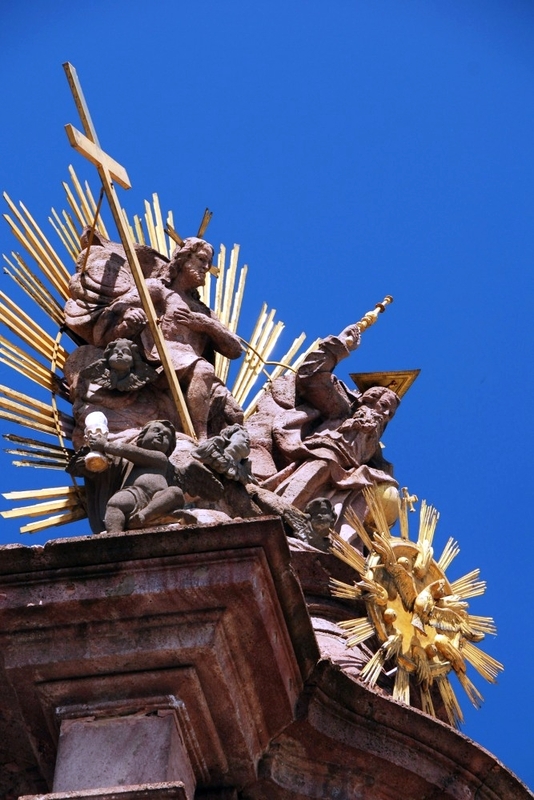 Sculptures of six saints – protectors and patrons of miners: St. Barbara, St. Catherine, St. Francis Xavier, the patron of Jesuits, St. Jozef Kalazanský, patron of Piarists, St. Rochus, the patron of beggars and St. Sebastian the martyr are placed on its pedestal. By the end of the 19th century, when silver mines definitely became unprofitable, miners disappeared from the town. Ordinary families moved into the palaces and the square came back to life. 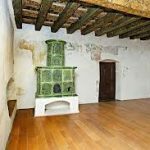 Shops were created on the ground floors, pelargonium flowers peered out of windows and the courtyards of the houses became an ideal scene of children’s adventures. 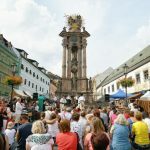 Saturday’s markets were legendary – they transformed the square into a hypermarket. The goods of all kinds were offered here – from the branded onion from Pukanec to delicate cashmere from Orient. The market was not only a place where you could buy thing; it was also a place where you were able to give or gain information at the time, when neither radio nor television existed. 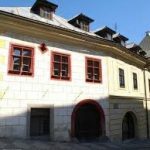 Nowadays the square hosts Mineralogical museum, Jozef Kollár Art Gallery, splendid confectionery located in the house of Joerges and a small shop called Diela a dielká, where you can buy various pieces of artwork, artistic production and souvenirs. 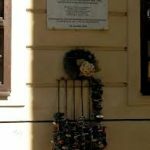 Small house of Dežo Hoffman – the photographer of the Beatles and other icons of the 20th century, is located in the upper part of the square. From the square you can reach the nearest tajch, the great water reservoir, within 15 minutes. 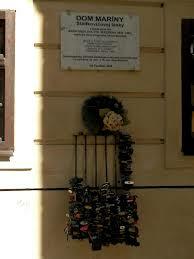 Couples in love come to padlock their Lock of Love on the iron bars of the house, where the greatest Muse of Slovak poetry lived. 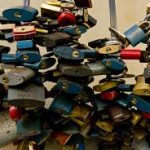 They throw the keys into the nearby fountain located on the square, so that the locked promise of their love would last forever. 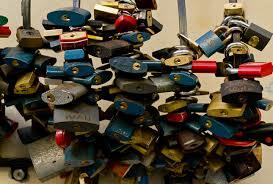 The iron bars hold thousands of locks; the highest increase in amount comes on Valentine’s Day. 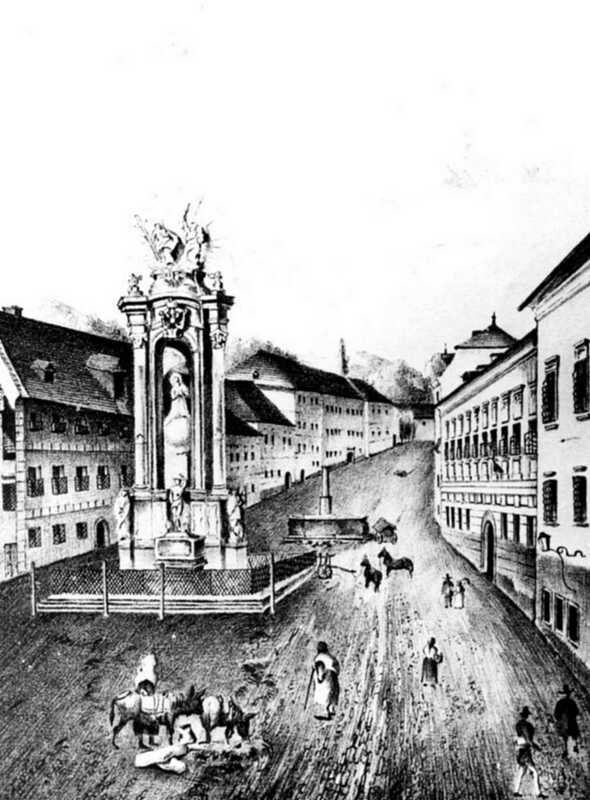 Andrej Braxatoris from Krupina, at that time only fourteen-year-old student of Evangelical Lyceum and Mária Pischlová of the same age met in Banská Štiavnica in 1836. Andrej, who later accepted artistic name Sládkovič, studied at the lyceum for eight years. 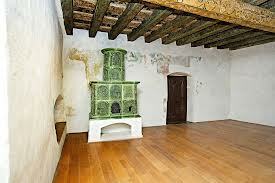 He was poor and for that reason he interrupted his studies several times – in order to earn some money. The Pischls family were in the wealthier social class and lived nearby the Church of St. Catherine at Holy Trinity Square. Andrej came to the house of the Pischls family as a private tutor and he and Marina immediately fell for each other. Although her family was against their love, the couple interchanged their rings. However, their love was not fulfilled. 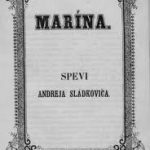 When Andrej left to study theology to Halle (Germany), unhappy Marína was forced by her mother to marry Juraj Gerzsö – a rich gingerbread maker – in May 1845. 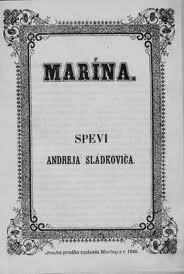 Therefore, owing to this unfulfilled love, the greatest love poem – Marína was written. But I can’t stop loving you! Two years after Marína’s wedding, Sládkovič also got married. 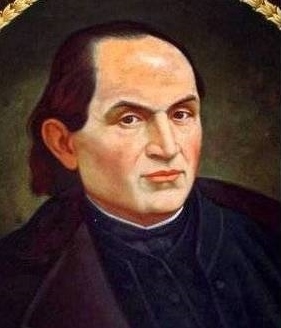 Sládkovič was ordained in 1847 and was called to Hrochota as an Evangelical priest. There, in the local dominion, he married a daughter of a clerk – Antónia Júlia Sekovičová. They had 9 children. Sládkovič welcomed the revolution of 1848-1849 with an enthusiasm. He believed that the ideals of freedom, equality and brotherhood would come to awareness of nations and would be governing the society, culture and politics. He became one of the most significant persons from the group of Slovak writers and activists called Štúrovci. He took part in Martin memorandum; he was also one of the founders of Matica slovenská (scientific and cultural institution). 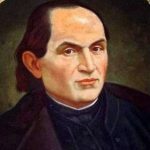 From 1856 until his death he worked as a priest in Radvaň nad Hronom, where he is buried. His commemorative plaque is located on Marína’s house. 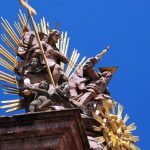 It was implemented together with the iron Grate of Love was implemented by the citizens’ association OZ Paradajz, which also published the book about Marína – Múza (The Muse) and organized the Festival of Love.